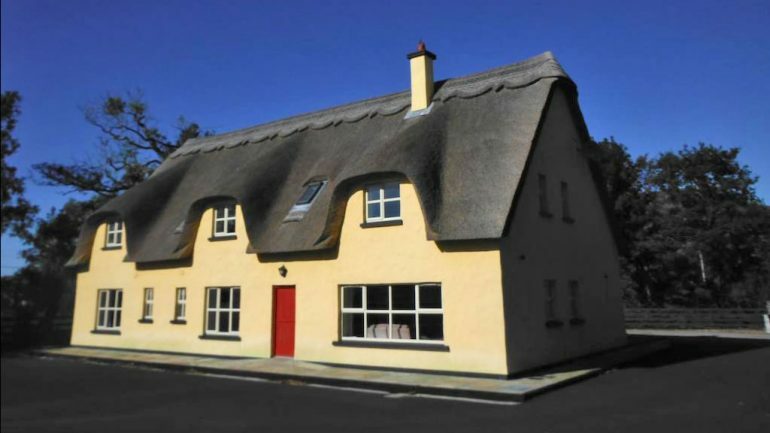 This warm and comfortable Bed and Breakfast in Annascaul is situated in the village near the pubs and restaurants and only 2-3 minutes walk from Tom Crean’s South Pole Inn. 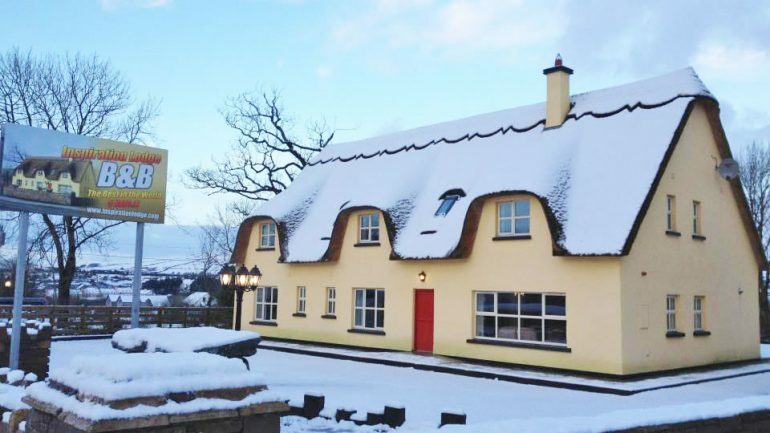 Inspiration Lodge is a large house with a traditional Irish thatched roof which belies the level of modern comforts and conveniences inside. Guests have given this a very good rating (8.8 – Excellent on booking dot com and 4.5/5 on Tripadvisor). 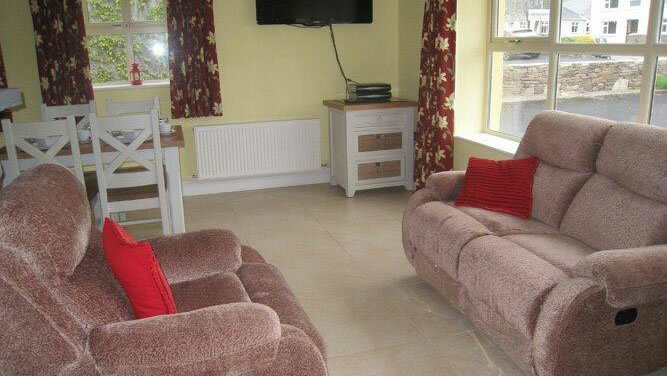 There is ample on-site parking and free Wifi is available throughout the house. 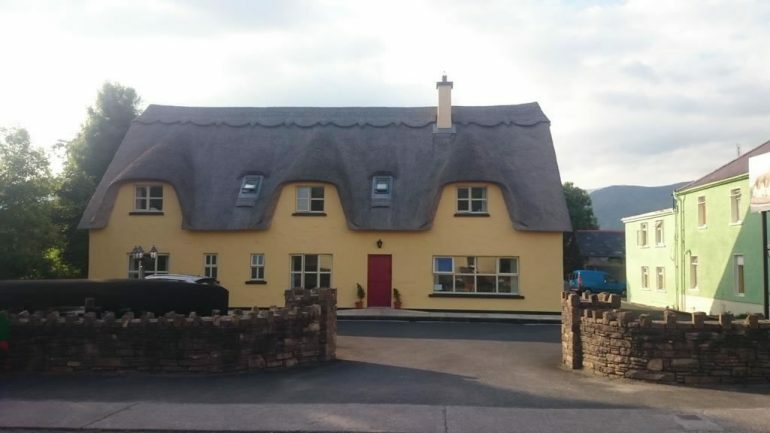 This accommodation is very popular with groups of hill walkers and is an excellent place to stay when it is difficult to get accommodation in Dingle during peak season. 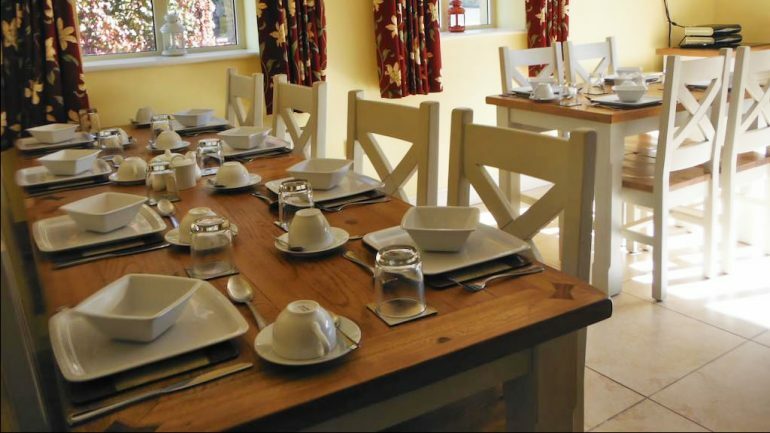 Each room at Inspiration Lodge has an en-suite bathroom, a TV and tea/coffee making facilities. 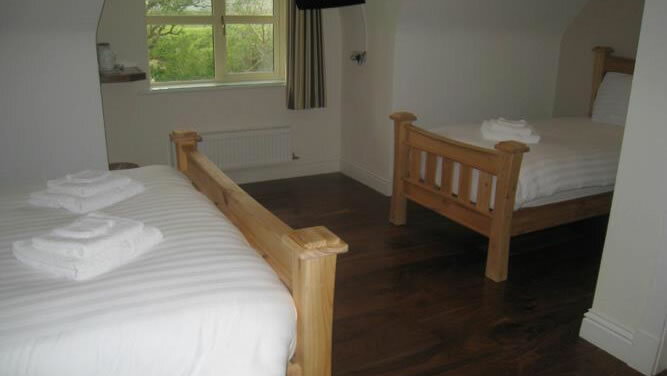 The rooms are cosy and modern and have comfortable beds. At Inspiration Lodge Bed and Breakfast in Annascaul you can choose from twin rooms, double rooms or triple rooms. Children are welcome but pets are not allowed. A variety of breakfasts can be enjoyed including a full Irish breakfast can be enjoyed. Continental, Vegetarian, Vegan and Gluten-free options are available.